Yes! At last they are here! 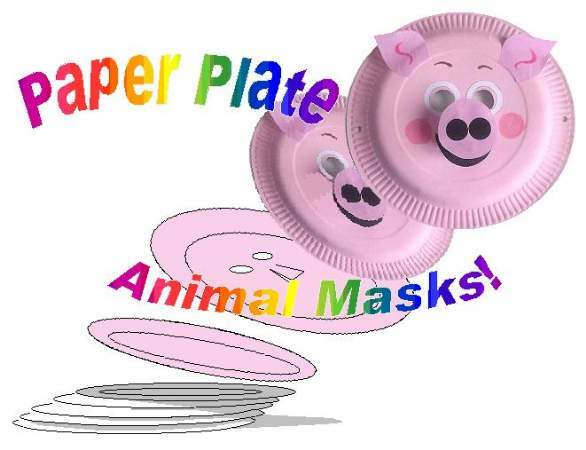 The KKC animal paper plate mask series. Those boring white disposables are not so boring after all. Don`t just serve up your favourite party food on them, but go ahead and have fun making all sorts of crafty things. Due to popular demand, I have created and photographed how to make a lion, bear, zebra, monkey, pig, polar bear, panda, penguin, and owl mask. This is the first of 5 e-books, each with a choice of 10 animals to delight the kids and keep them occupied in a most creative way. Enjoy doing this craft in any season whether spring, summer, autumn or winter. The helpful, clear instructions with bright illustrated photographs will please and assist not only the kids, but the parent, carer and teacher, making it an easy and fun arts and crafts project. 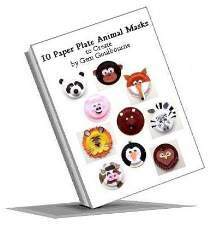 Each page displays a materials and tools symbol chart under the heading for easy reference, and with a choice of 2 printouts of every animal`s face parts, each child can create at least one stunning animal mask without tackling complicated drawing techniques. An added bonus for any classroom and home is the savings on printing ink by choosing the outline option of the printable face parts. The kids can then enjoy colouring them in before cutting out. But if time is limited, choose the option with the face parts already colour filled. 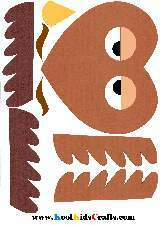 Take a peak at the following example of the step by step guide, our Kool Kids Crafts trades mark. We have improved the illustrations and instructions making them simpler, but even before we did, 5 year old Raine had no problem taking a rumble in the jungle to make his paper plate mask for school and captured a stunning lion king. Well done Raine! 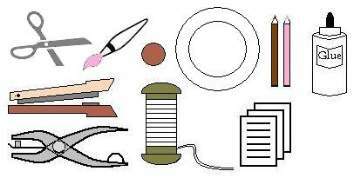 You can see Raine` work here in the gallery or kids craft projects that other crafters have posted. You will agree once you start reading and using this great little eBook which is packed with helpful features for the class, that the cost is well worth the package. Use it over and over again, it won`t wear or tear before your computer does.